Step 1 – Go to the backend section of your post, and in the top-right corner, you’ll find the Screen Options. Make sure that you have the Discussion box checked. 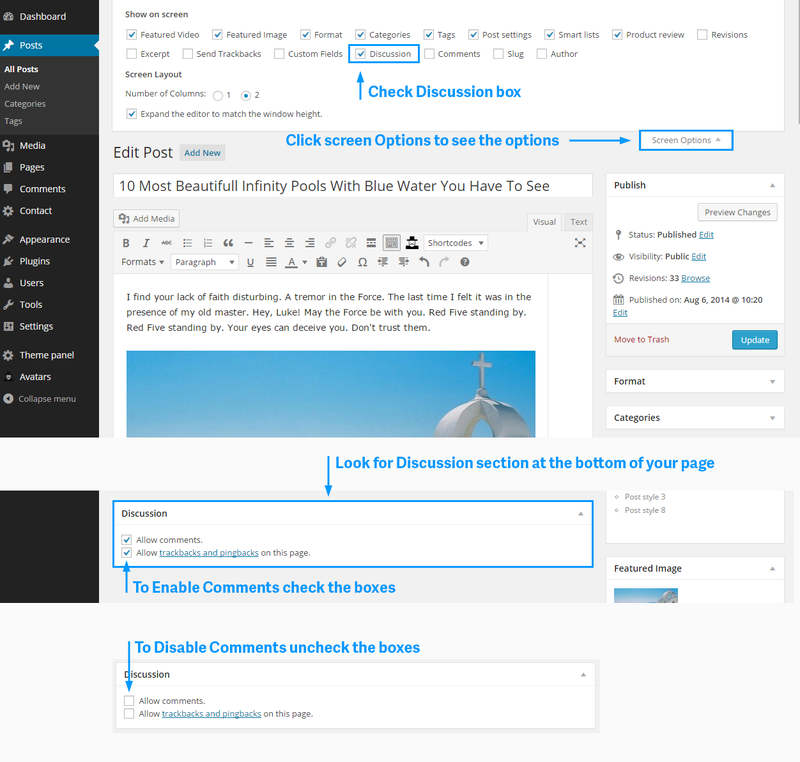 Step 2 – Now go to the bottom of your page, and look for the Discussion section. To enable comments, verify that the two boxes are checked. Step 3 – For the situations when you want to disable comments on your article, uncheck the boxes.